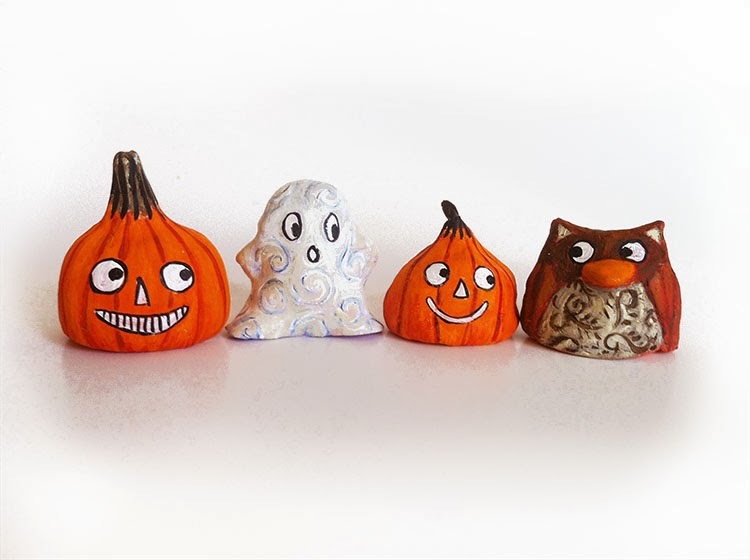 For the first time, I used very handy carving tools to do these pumpkins. 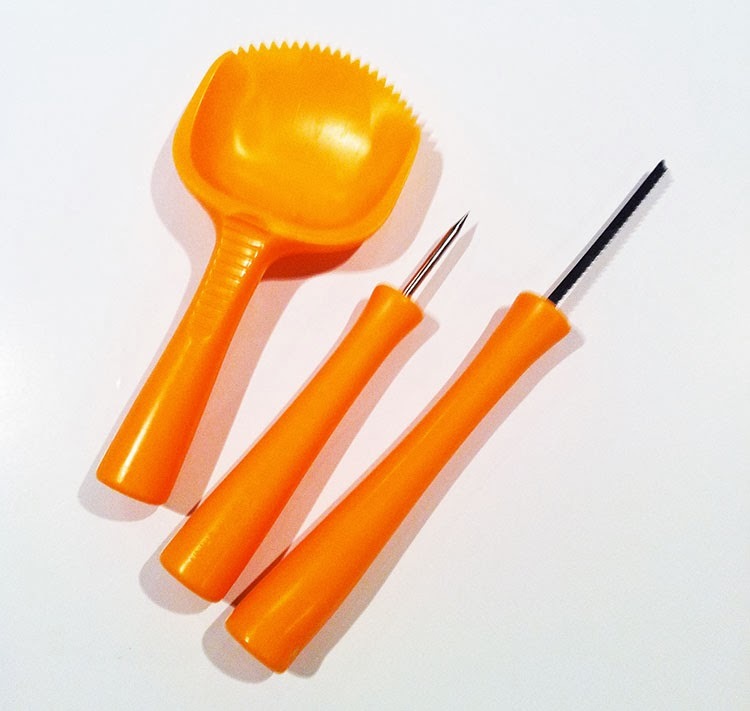 These tools made it feel a lot less dangerous when doing the cutouts. 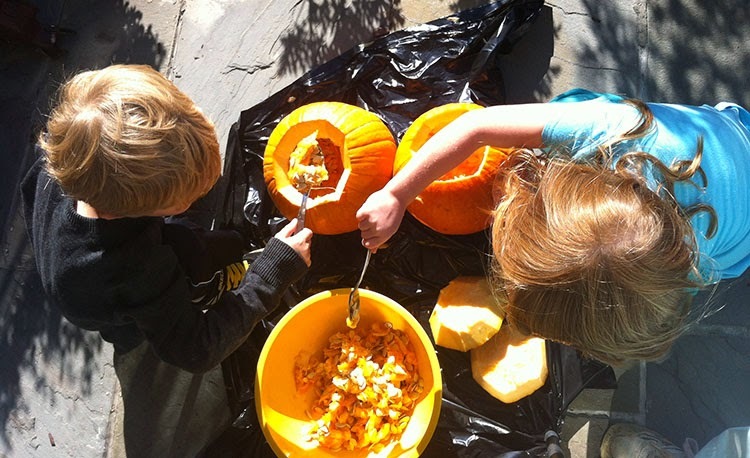 The kids had fun digging out the pumpkin innards and drawing the faces for their pumpkins. 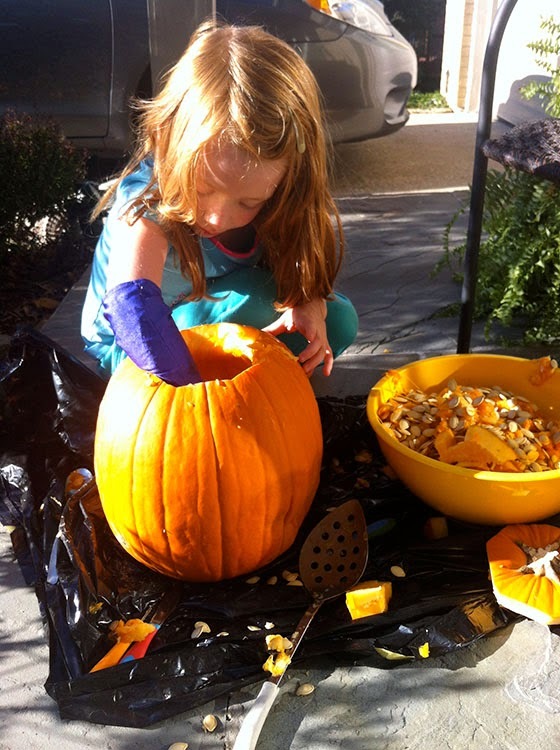 Chloe found an arm guard that was innovative in protecting herself from the pumpkin goo…. to today’s size being larger than a basketball. 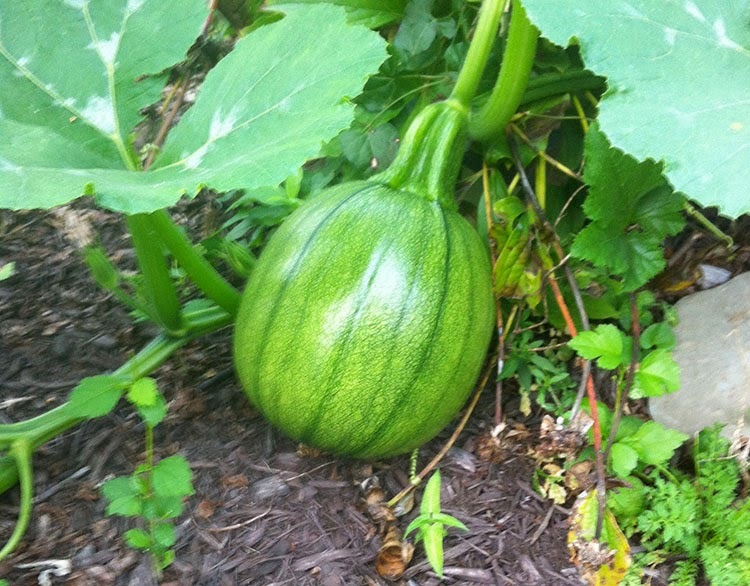 I know it doesn’t compare to a 1,266lb pumpkin I saw on CBS Sunday Morning, but it is still really fun for us to see our ONE pumpkin grow. 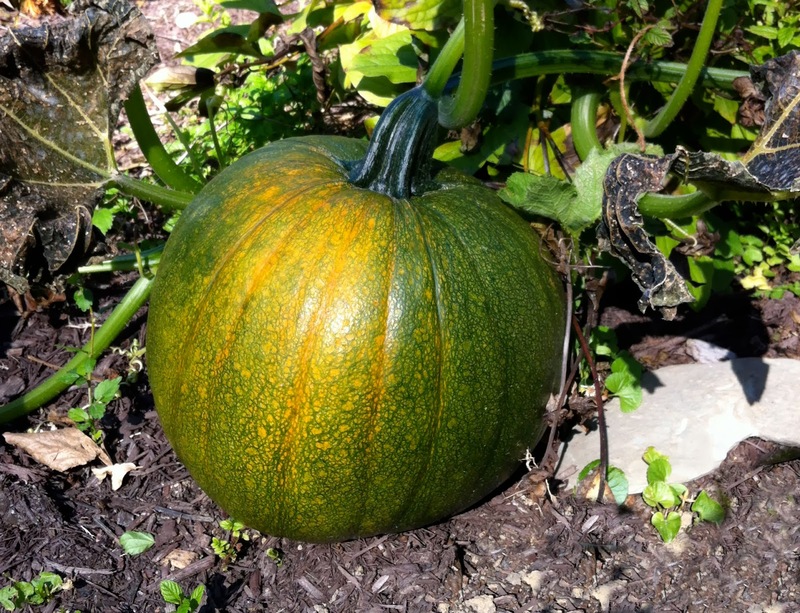 Finally, it is turning orange, maybe just in time for Halloween! 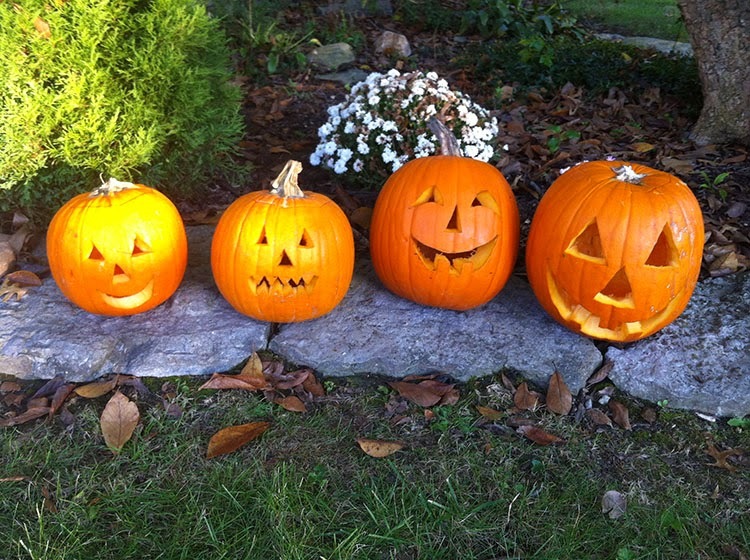 Crisp, cool sunny days, leaves turning and bonfires are just part of the Halloween fun. Chloe and I had fun sculpting Halloween characters with air-drying modeling clay. A couple of layers of paint and they came to life. 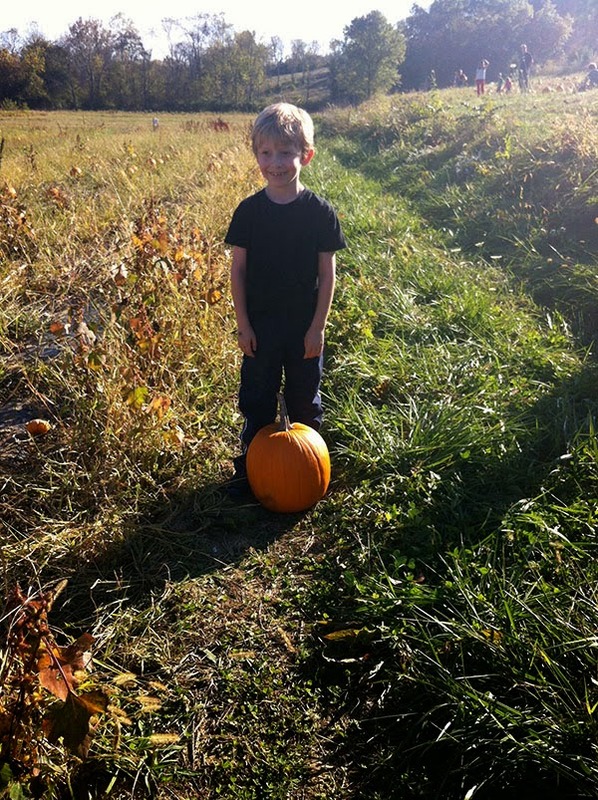 Of course, going to a pumpkin farm, and picking pumpkins is another wonderful tradition. 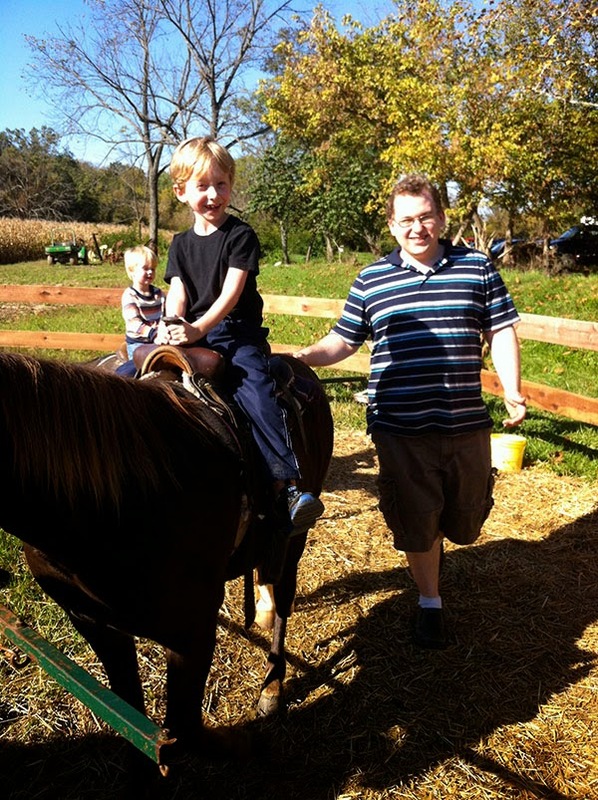 We love going to Neltner Farm and buying apples and cider! 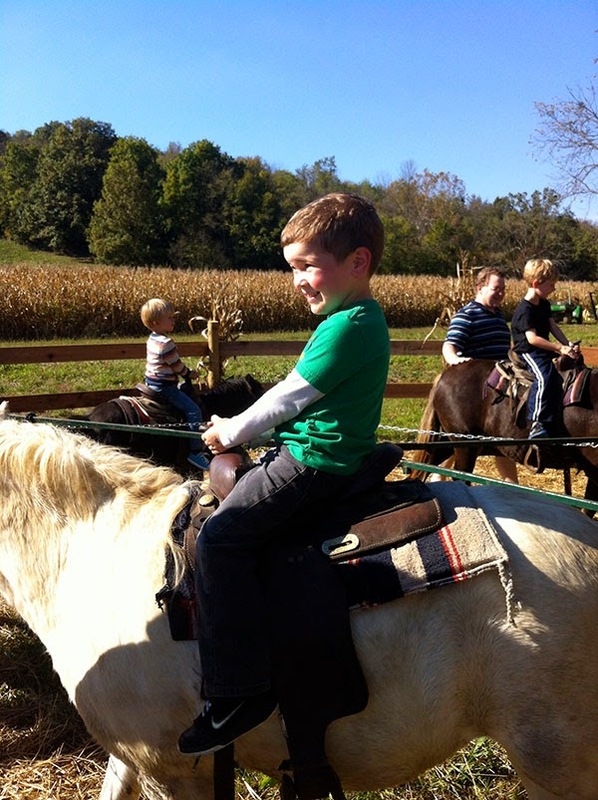 Painted faces, riding ponies and a wagon ride out to the pumpkin patch are just a few of the things we enjoy. 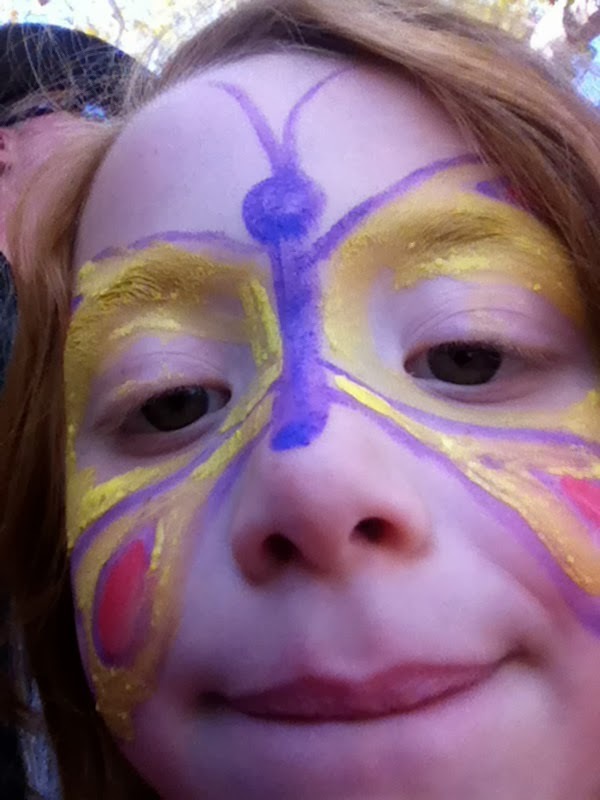 Chloe knew she wanted to have a butterfly painted on her face. 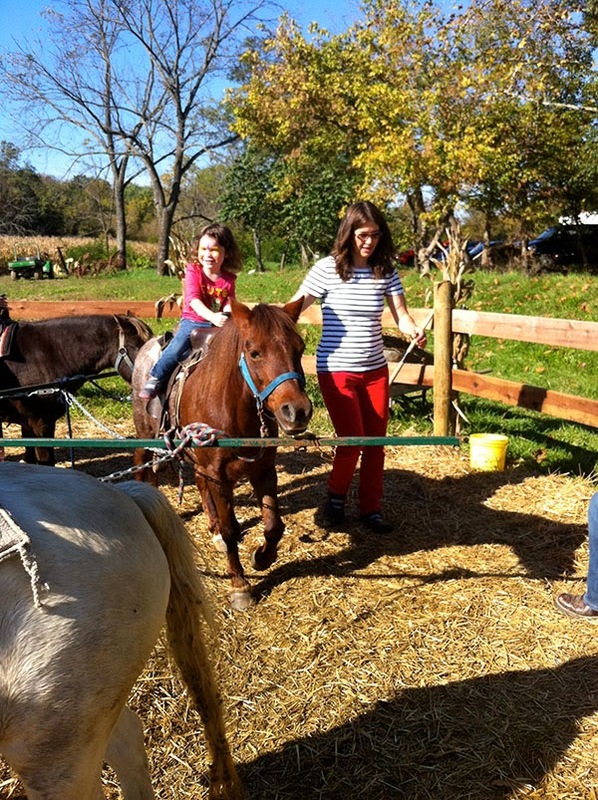 Kara, Chloe, Myles and Chet enjoyed their ride on the ponies. 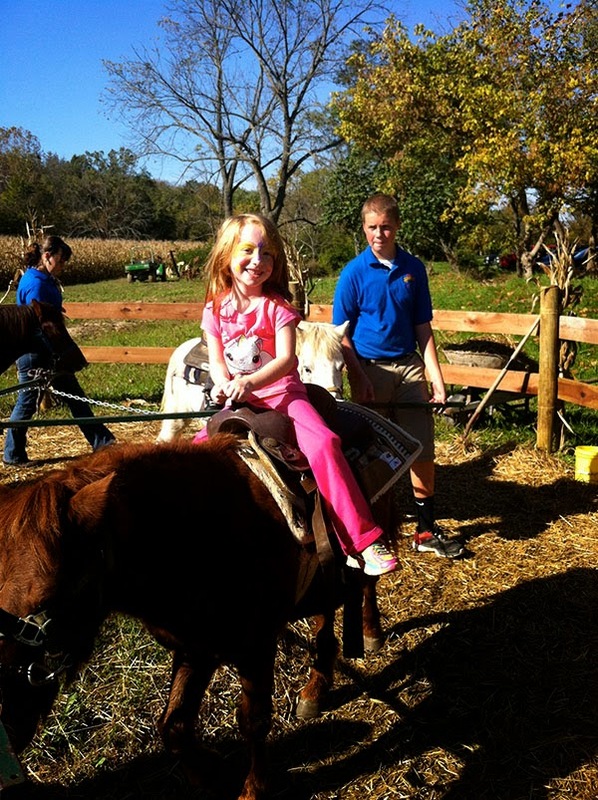 We are so happy that The Coopers made it out to the farm. 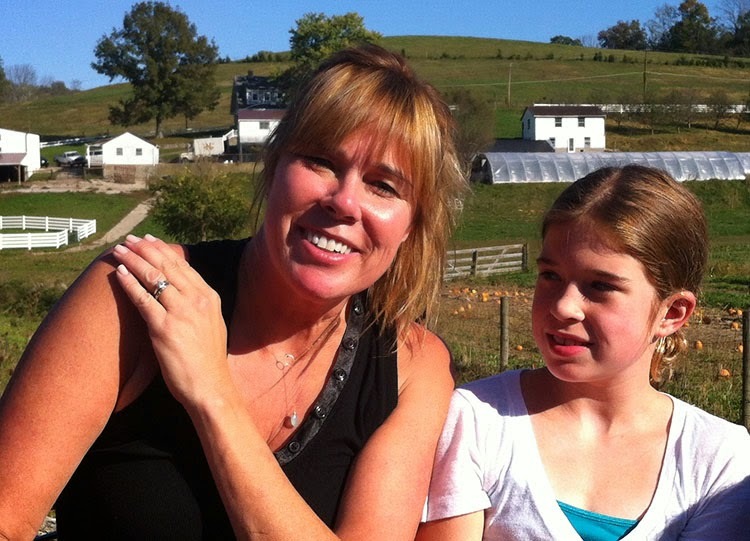 We met them in the corn maze, but were unable to find all the treasures. 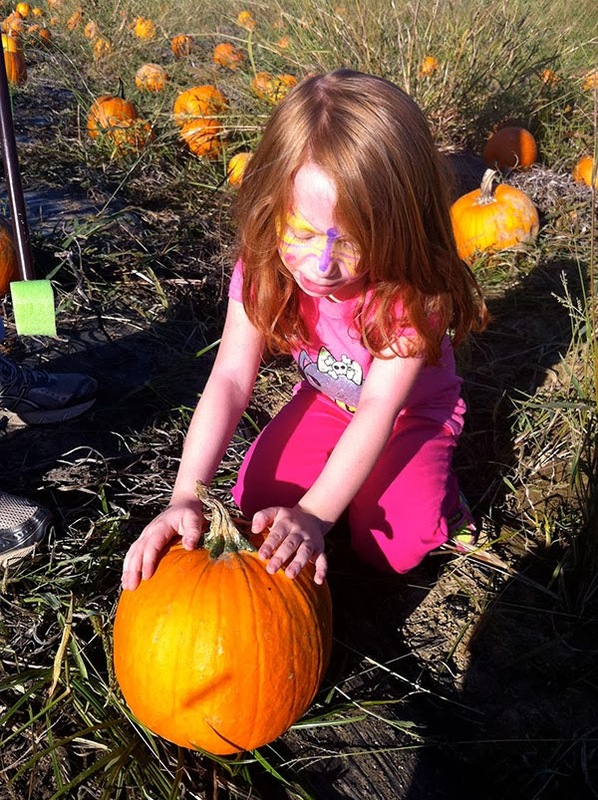 Oh well, no problem finding the perfect pumpkins. 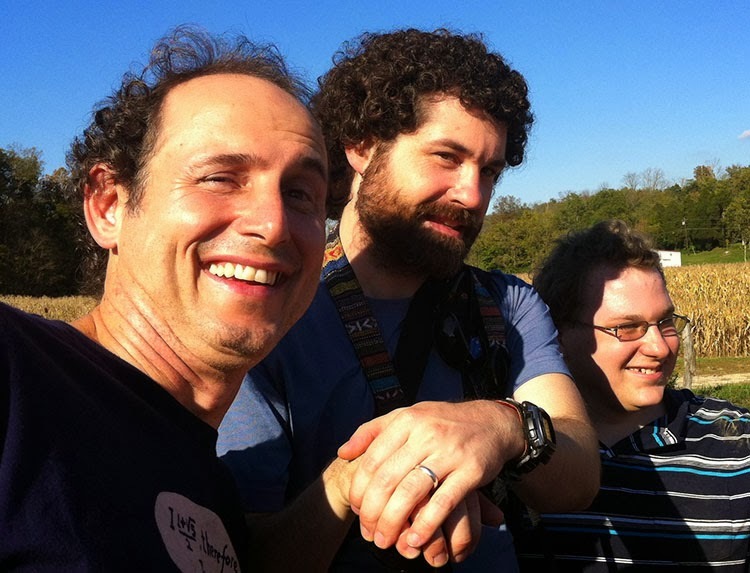 The two Josh’s hitched a ride on the back of the wagon, hoping for the perfect picture. It was a beautiful day. 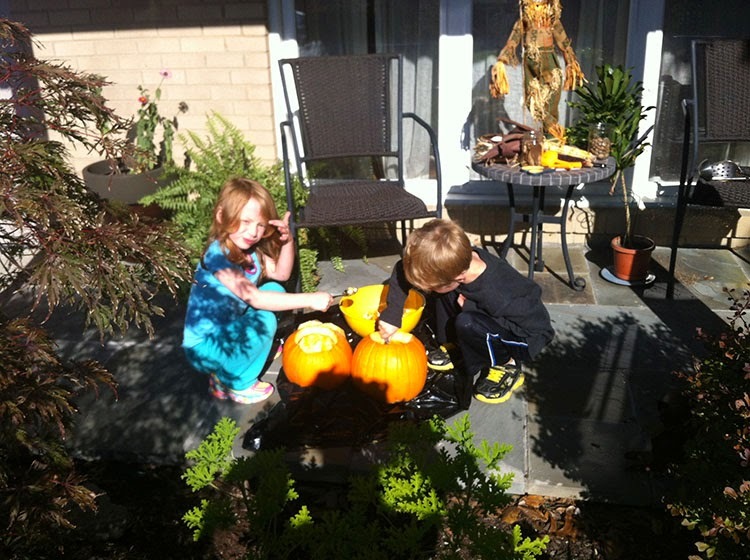 The kids found their pumpkins in the patch looking forward to drawing the face for carving their jack o lanterns. I just love this season!